Opening hours: Mondays to Saturdays: 11am – 7pm, Sundays: 1pm – 7 pm. Decorated by Singapore Boys Hostel with Mary and A Whispering Campaign. 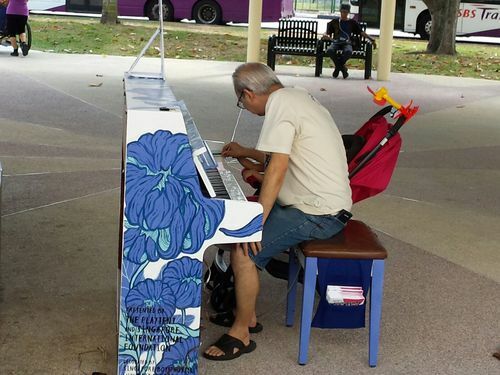 CHECK OUT THE IMPROMPTU IMPROVISION OF JAY CHOU'S FAMOUS PIECE ! DON'T MISS IT! happening later from 5pm - 7pm! ‪#‎Repost‬ @teccyec with @repostapp. Enjoying free piano recital amidst busy setting, never realized many young talented young pianists in Singapore. Wow. All this absolute maestro is missing is a tuxedo. You know, with those nice fancy coattails. You go, dude! Iman, 11yo, aims to PMIY at 4 locations in the East of Singapore. 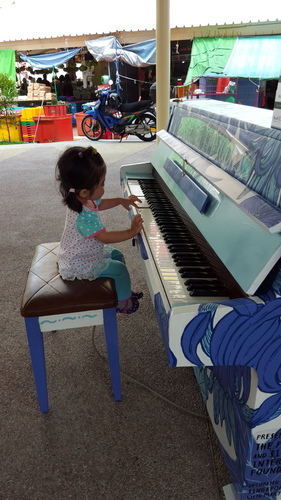 Here's his 1st piano at Tampines Central. Young and young at heart together! 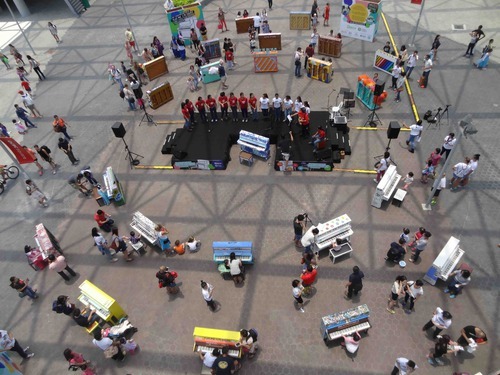 just arrived and here installed at Tampines ready for you to play ! Nice hid-out from the sun. 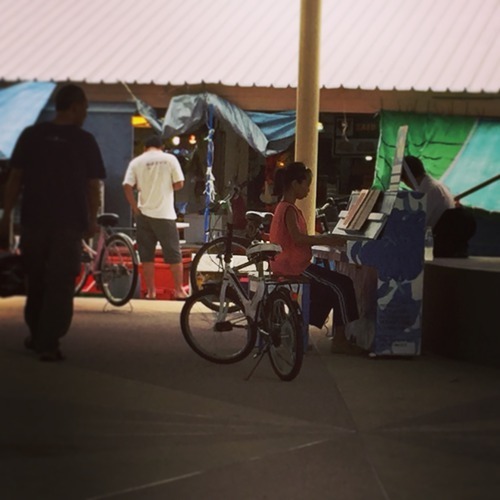 First deployed piano we found, many more to come during next few days... 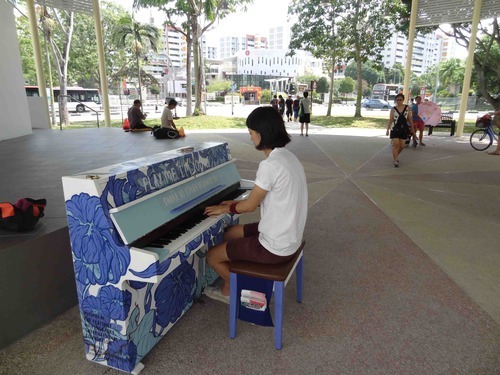 Thanks to the Playtent Singapore people for the excellent map covering all piano locations! So this is what A Whispering Campaign and Mrydette have been up to with a bunch of nice kids from Trybe. So amazing.